CHICAGO–(BUSINESS WIRE)–INTERNATIONAL TELECOMS WEEK (ITW) — Coriant, a global supplier of SDN-enabled end-to-end packet optical networking and DCI solutions, today announced that C&W Networks, a Liberty Latin America company, has deployed the Coriant mTera® Universal Transport Platform in its Pan-Caribbean network to optimize its network backbone for current and future high-speed service demands and simplify multiservice bandwidth management. The Coriant mTera® solution enables C&W Networks to aggregate and groom diverse traffic types on a compact, scalable, and converged platform. The mTera® UTP is an extremely flexible multiservice transport solution that supports software-defined Universal Transport & Switching for OTN, Carrier Ethernet, MPLS-TP, and SONET/SDH in a single, power-efficient system architecture. With a compact form factor that supports an extremely dense 7Tbit/s of universal switching capacity per shelf with up to 12Tbit/s of total switching capacity per rack, the mTera® UTP provides C&W Networks with a scalable foundation for future network growth. Click HERE to view how the Coriant mTera® Universal Transport Platform enables C&W Networks to boost service performance and agility across the largest fiber optic network in the Pan Caribbean region. Coriant delivers innovative and dynamic networking solutions for a fast-changing and cloud-centric business world. The Coriant SDN/NFV-enabled portfolio of open, disruptive, and hyperscale solutions and Multi-Sided Platform innovations helps network operators cost-efficiently scale network capacity, reduce operational complexity, and create the resilient foundation for a new generation of mobile, video, and cloud services. Coriant serves leading network operators around the world, including mobile and fixed line service providers, cloud and data center operators, Web 2.0 content providers, cable MSOs, government agencies, and large enterprises. With a distinguished heritage of technology innovation and service excellence, Coriant is helping its global customers maximize the service value of their network infrastructure as demand for bandwidth explodes and the communications needs of businesses and consumers continue to evolve. Learn more at www.coriant.com and follow us on Twitter for the latest news and information. C&W Networks is a wholly owned subsidiary of C&W Communications and a wholesale telecommunications service provider that offers broadband, IP capacity and a growing portfolio of managed services and integrated solutions to global, regional and local telecom carriers, TV cable companies, Internet Service Providers and Network Integrators. 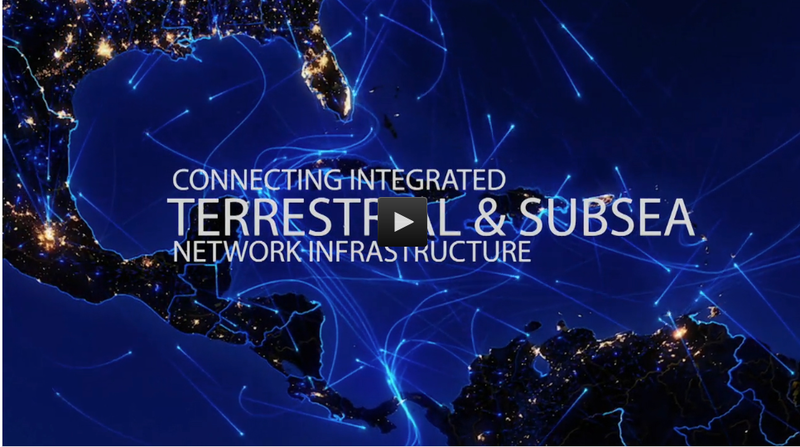 C&W Networks operates the largest state-of-the-art subsea multi-ring fibre-optic network throughout the greater Caribbean, Central American and Andean region along with the most comprehensive fully meshed MPLS network in the region. Connecting over 40 countries, the company’s fully protected ringed submarine fibre-optic network spans more than 50,000 kilometers. Cable routes include the Caribbean Optical-ring System (ARCOS-1), Colombia-Florida Express (CFX-1), EC-Link cable system, Fibralink, Maya 1, Eastern Caribbean Fiber Express (ECFS), Taino-Carib, East-West, Cayman-Jamaica Fibre system, Caribbean-Bermuda U.S (CBUS), Americas II, Gemini Bermuda, Pan America (PAN-AM), Antillas 1 and Pacific Caribbean Cable System (PCCS). Learn more at www.cwnetworks.com and follow us on LinkedIn and Twitter for the latest news and information. Visit us at ITW (International Telecoms Week) May 6-9, 2018 at the Hyatt Regency, Room 2576 East Tower.